Amazon, Twitter, Yahoo, Facebook, Youtube, Twitch and other large services have very well learned to track through normal proxies and now they block user's account much quicker. When you hide something, you will be watched, and then blocked. AIRSOCKS uses its own software and hardware development, which will make servers define you as a typical mobile user and that reduces the risk of blocking to almost zero. We keep track of all proxies, so they will never stop working at once! If you have paid but found out in the middle of the process that our service is not right for you, we negotiate and COMPENSATE if necessary! We are constantly evolving, speeding up proxies and adding new a new functionality for users and developers! We run specials and offer discounts often, so watch the news not to miss them! Our free support is absolutely unmatched! Our support works in all messengers as well as by e-mail, but we can provide standard FQ list! Visit our web-site to find out more! You are getting an access right away! Attention! We are announcing a new proxy service ASTROPROXY. When the new service starts up you will be able to get thousands of white elite data center and resident proxy servers. You will not be afraid of a ban or captcha. 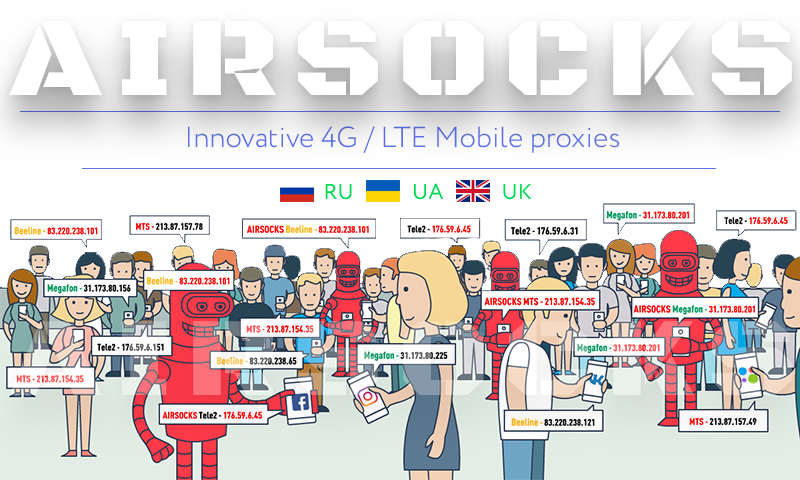 Your requests will pass through really live IP-addresses of countries and you can not be distinguished from the ordinary user. Who need a resident proxy? To get proxy test or buy one please contact us by our contacts. Also we remind you that you can still get a private channel for a month, after shooting a video about the work of our service. You can get more information about this promotion in the previous post. Since the opening of our service until this post, our service has significantly changed. We continue to make various changes and improve existing functionality. Everything that we do is done for you and it would be great if you point out what our service lacks or what it would be good to change or improve. We are often asked the question - how many accounts of a service can you use on the same channel? It is differently. Just test (the test is free, you can organize a private channel test by contacting our support). We recommend to use 5-20 accounts per channel. Someone achieves results ten times more. There is a high-quality and low-quality software, we are not responsible for it, it is necessary to contact the developers. Everyone has different competence and understanding of the work of the mechanisms for determining bots in the social networks and other systems. In the case of absence of this understanding or a poor understanding of this mechanisms the bans will still be. Everyone has a different proxy budget and traffic volume. We do not advise about the software work, it is necessary to contact the support of the software developer, we provide anti-detection at the network level. Friends, if you have any questions about the work of the proxy, please contact our support! What can you get by contacting our support?  Airsocks mobile proxies ensure high compliance with the parameters of a real user. Thus, chance to be banned reduces to zero. If you have doubts, you can take a free test on our website. We have launched a proxy in EUROPE. Lithuania. (Lithuania). Operators BITE and EUROCOM. Quantity is limited. We accept orders for testing and purchase.